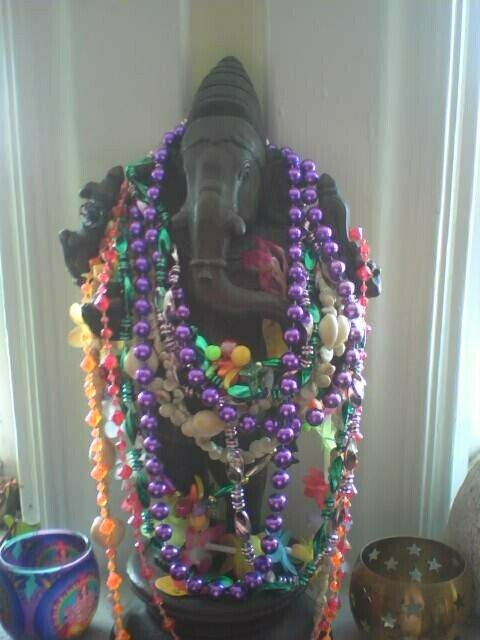 Lovely Ganesh, remover of obstacles (and wearer of leis and Mardi Gras beads). Sorry! Busy busy busy — last night was the Women’s History Month concert put together by my fabulous colleague Yvonne Hansbrough and featuring colleagues Young Kim and David Bebe as well as Jamecyn Morey, who all played music by women composers, including Éizabeth Claude-Jacquet de la Guerre, Hilary Tann, Clara Schumann, Rebecca Clarke and Cécile Chaminade. It was magical! Thanks to everyone who turned out, especially Jenise and Cate and my students. It’s hectic this month (when is it not, I know I know) and I have a conference at the end of it. Somehow it will all come together, right? LOL — let's hope that still holds true!